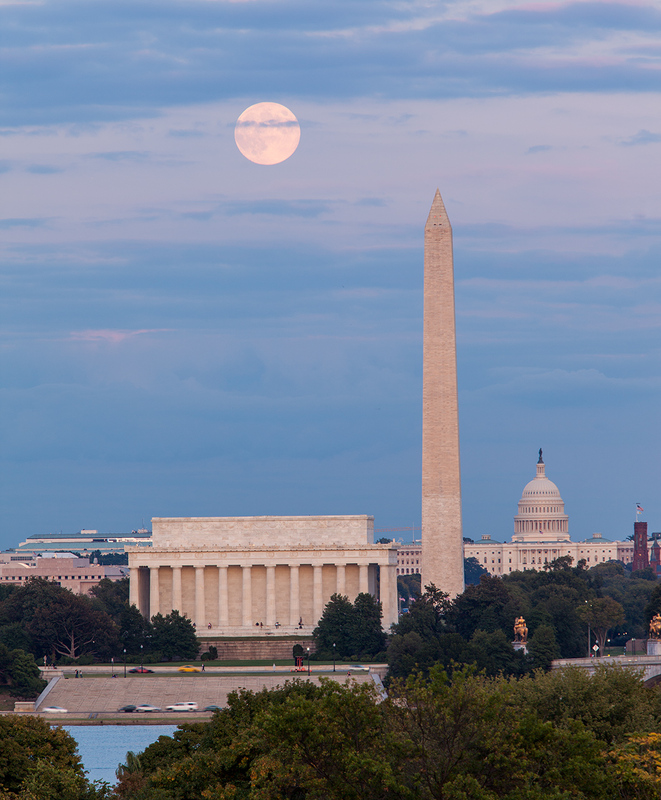 I ventured down to DC to capture the full moon rise over Washington DC this evening. The full moon in Sept usually lines up nicely with the Lincoln Memorial, Washington Monument and Capitol building, creating a wonderful shot. I was hesitant to make the trip because of all the clouds, and it was quite cloudy so that we couldn't see the moon until about 15 minutes after it rose. Thankfully, the moon peaked out from behind the clouds for a few minutes.